There Are More Than 16,000 Requests for Commutations. Obama Has Granted 43. 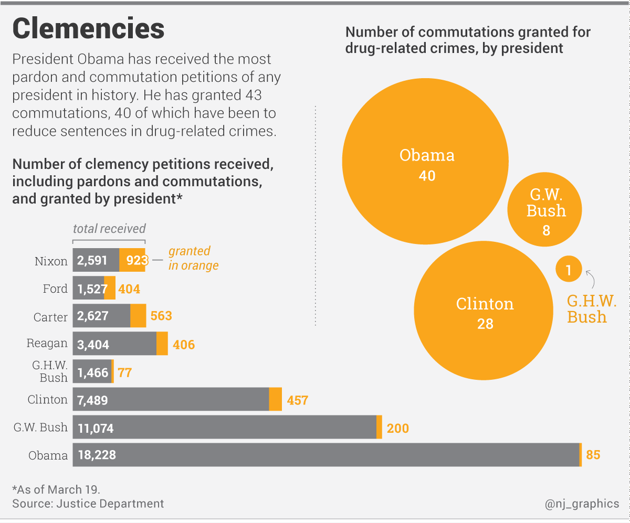 A look at the president's enormous clemency backlog. This week, President Obama commuted the sentences of 22 people serving time for drug-related charges — eight of them were serving life terms. "Because many were convicted under an outdated sentencing regime, they served years — in some cases more than a decade — longer than individuals convicted today of the same crime," said Neil Eggleston, the White House counsel, in a statement explaining the action on Tuesday. This is the latest move the president has taken to rectify what his administration sees as decades of unfair sentencing for drug crimes. In his time in office, Obama and the Justice Department have pushed Congress to pass legislation to reduce the sentencing disparity between crack cocaine and powder cocaine charges, have scaled back the use of minimum sentences in federally prosecuted cases, and expanded the clemency office at the Justice Department to receive thousands more applications. That will amount to an enormous task. Obama now has the most pending clemency applications of any president. During his time in office, Obama has received 16,326 applications for commutations and 1,866 applications for pardons. A pardon is outright forgiveness for someone who committed a crime; a commutation is the relaxation of a punishment. Clemency is the broad term that encompasses both. In March, Obama told The Huffington Post he'd begin to use his clemency powers "more aggressively." But he has his work cut out for him if he's going to make good on this promise. 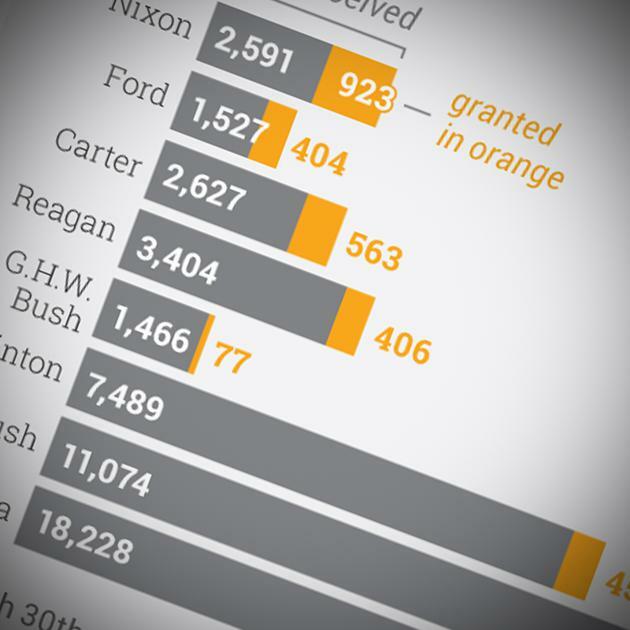 To be fair to Obama, presidents tend to grant the most commutations and pardons during their last year in office. With Tuesday's action, Obama more than doubled his total number of commutations of drug-related sentences, to 40.